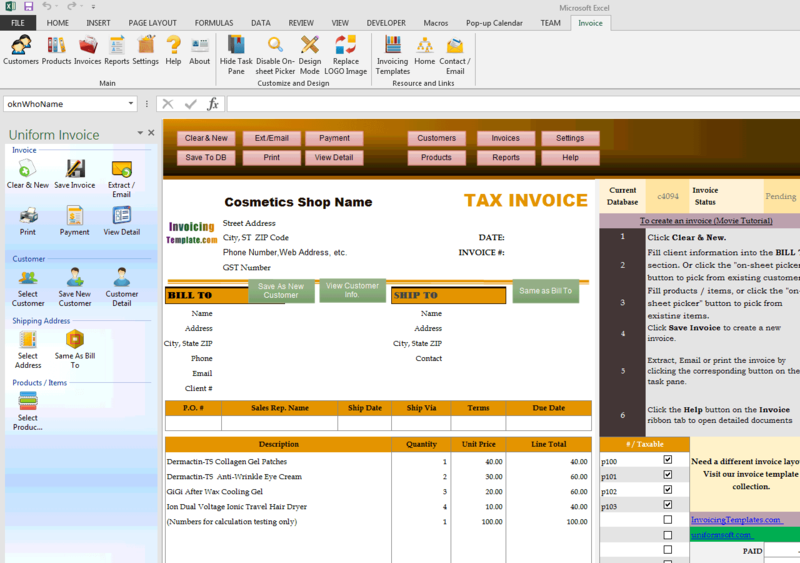 Download this free Excel bill sample for vendors, stores, retailers and wholesalers that are specialized in cosmetics and makeup. The template (".xlsx" file) features auto calculation and a cosmetics background picture. 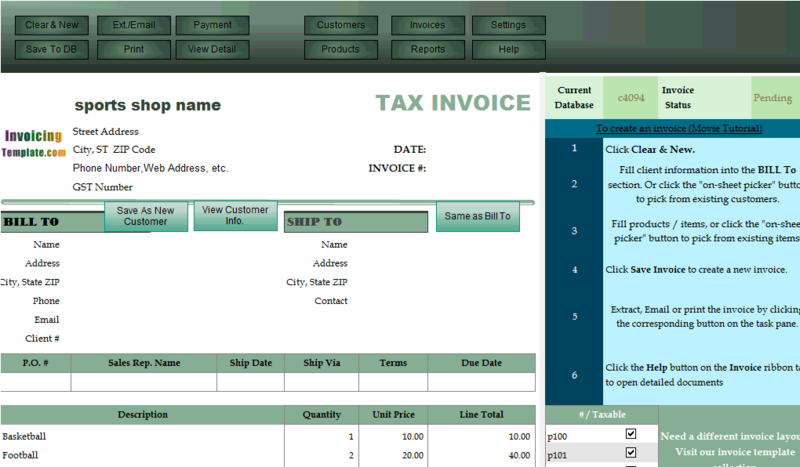 c4095 now includes the customized invoice template for the latest version of Invoice Manager for Excel. This is what you will see when you open cosmetics.xlsx. 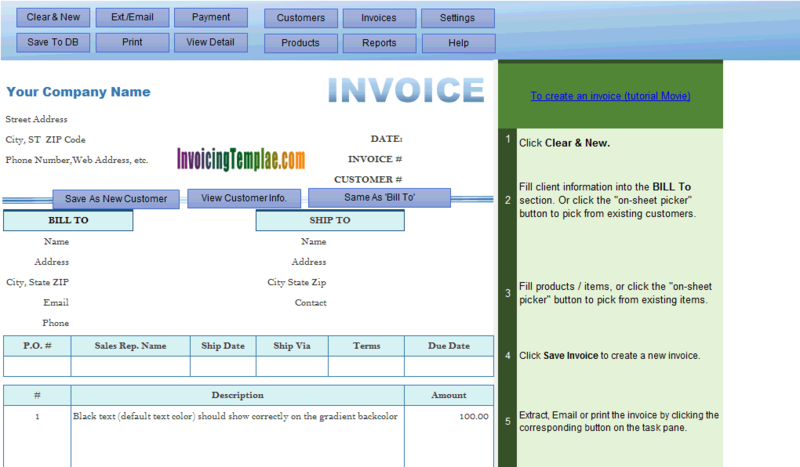 This sample is implemented as a sales invoicing template. 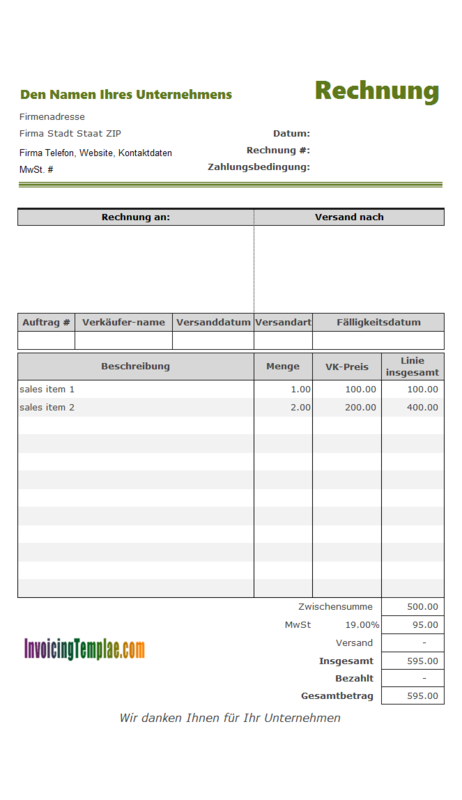 For stores that don't ship goods, and you need more lines on the detail section, you can move the "Shipping To" section out of the printable invoicing form, and then adjust the layout of the "Bill To" section to leave space for the detail section. Firstly you can use the "on-sheet picker" button which appears next to the active Excel cell. Clicking the "on-sheet picker" button pops up a list of active products / items that you are selling. Above the product list you'll also find a search bar which allows you to filter / search the product list with any property belongs to a product, such as product# (SKU#, barcode etc. ), product name and unit price etc. The search bar allows you to enter only part of the item name. For example, if you specify the search criterion "contains words" for the field "Product Name", and then enter the search word "eye cream", all products contains that word will be listed. For cosmetics stores and shops where the bills are usually paid using cash or credit card on the spot (in this case, it is commonly referred as a receipt), the "Paid" and "Total Due" cells are usually not required on the bills. For a wholesaler, an invoice may be paid after the cosmetics shipped. 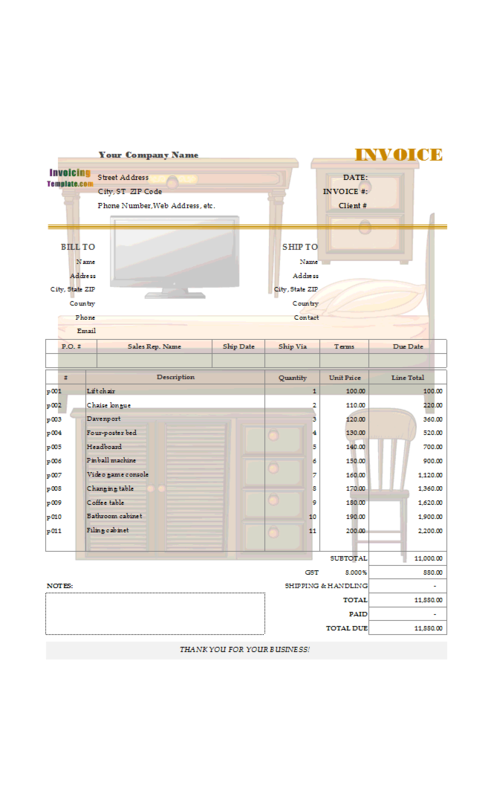 In this case, you may like to move the "Paid" and "Total Due" cells into the printable form. 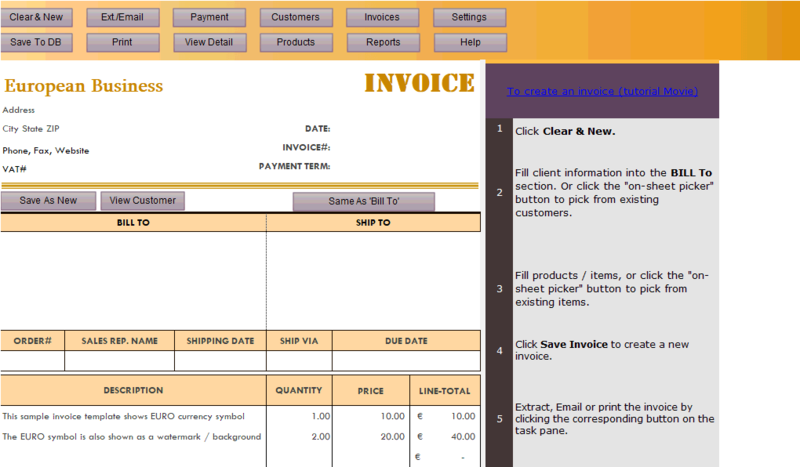 Like other form designs here on InvoicingTemplate.com, Billing Template for Cosmetics Shops is free (offered to you at a price of 0.00USD). It works on Windows XP and all newer versions of Windows, and Excel 2007, 2010, 2013 or 2016. Updated the Sales Report for cosmetics.xlsx.